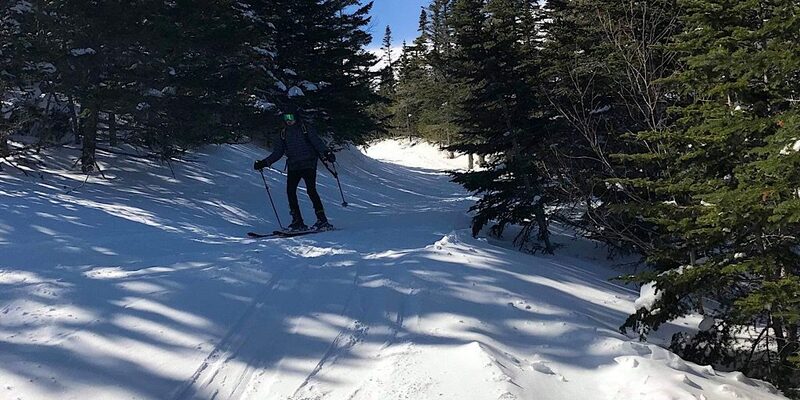 As Redline Guide Ryan Mcguire would probably prefer, we’ll skip the mundane details about finding the Cranmore Mountain Lodge, renting backcountry touring gear at Ski the Whites, and skinning up the Tuckerman Ravine Trail, and instead jump right into the action. So, after some back and forth deliberation, Ryan decided to guide our visiting mother and teenage son from Massachusetts on a classic “Sherbie” tour. 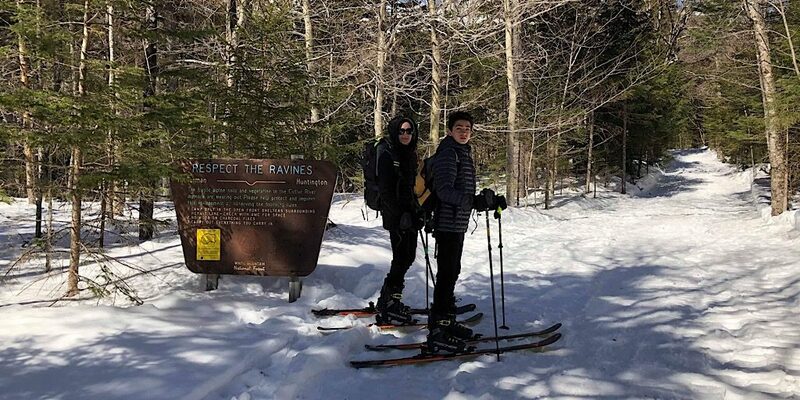 The goal of the day was to keep everyone safe, to introduce and get the son’s stoke up about backcountry alpine skiing, and to have fun — to which they succeeded on all fronts. 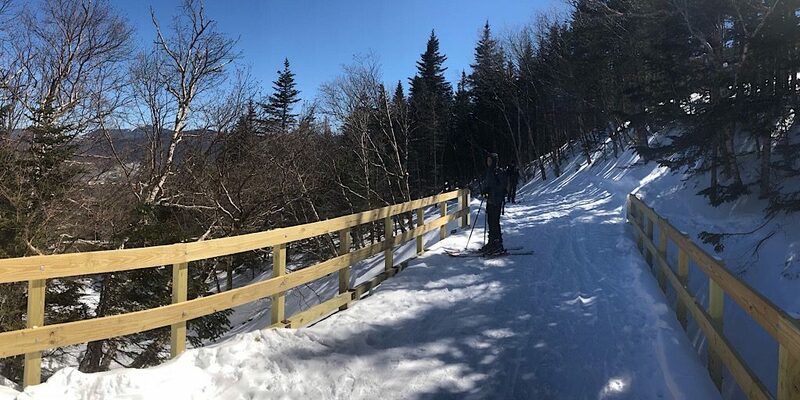 For those who don’t know, the John Sherburne Ski Trail was built on the east side of Mt Washington sometime after 1933 by the Civilian Conservation Corps (CCC) and provides a historic and rustic alpine skiing adventure. 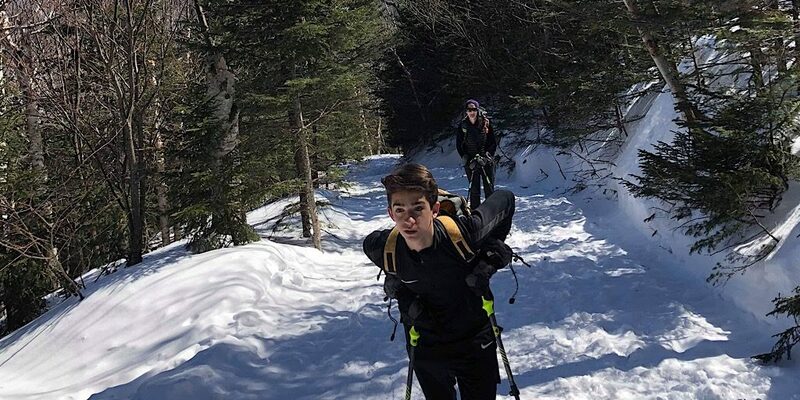 The trail is about 2.4 miles long running from the floor of Tuckerman Ravine down the Little Headwall and drainage, then past Hillman’s Highway near the Hermit Lakes Shelters, and finally onto the parking lot of the AMC’s Pinkham Notch Visitor Center dropping over 2400′ in the process. Slope angles run between 19-25° providing a thrilling experience without excessive danger (think blue square). 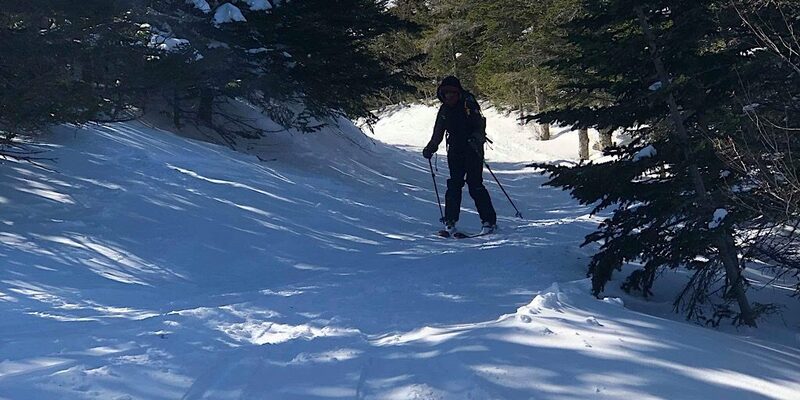 To ski the Sherbie is a rite of passage that every New England backcountry skier should experience. Despite the icy bits down low. Please enjoy these photos of the day. 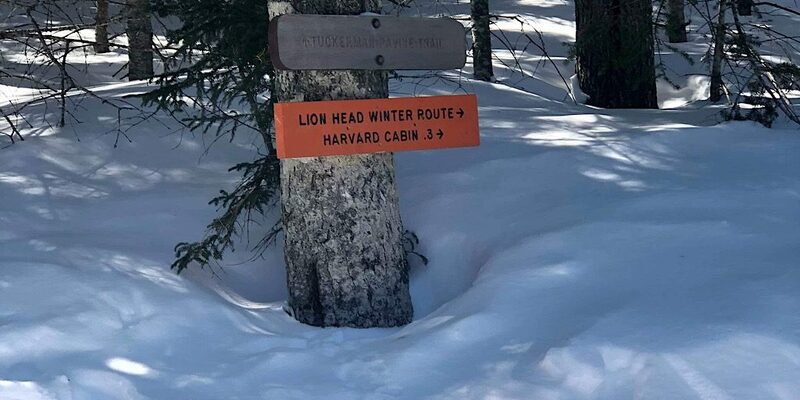 Staring out on Tuckerman Ravine Trail. Earning their turns. This is the earning part. The snow is really deep this year. Wow. 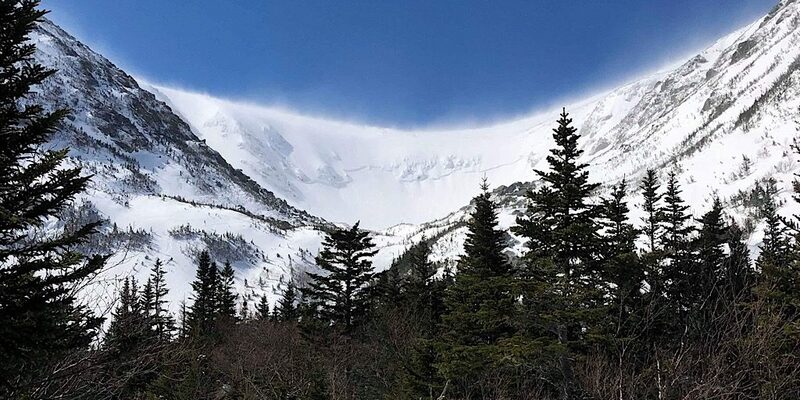 Note the avalanche crown line spanning the ravine headwall. Making tracks on their descent. Up high, conditions were good. Well done, everyone. The stoke is up. Good lead, Ryan!